It might not always be front of mind, but your insurance really matters, and Gallagher's Professional Associations team delivers great cover for professionals at competitive prices. 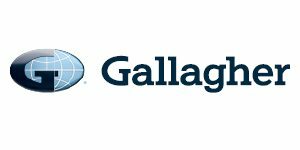 Gallagher is one of the world's largest insurance broking and risk management companies and we partner with more than 175 associations across Australia. We offer association members exceptional deals on combined professional indemnity and public liability insurance through specially arranged association insurance schemes. In many cases, the savings association members are able to make on their insurance runs into hundreds of dollars per year - more than off-setting their annual membership fee. And being able to access these insurance schemes via associations is a great member benefit. As well as our PI/PL schemes, Gallagher can also look after all aspects of your business or association insurance and tailor a program to fit your specific risks. We're also offering a free insurance health check to Access1st users. Full details on our insurance offers are available behind your association or client log-in. For more details call us on 1800 531 969. You can find out more about our association member insurance schemes here.